Rune Alexander book 11 is now available. It's the final book in this series. I'll miss Rune and the crew, but it was time! 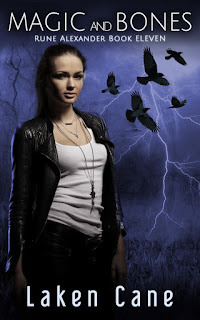 Rune Alexander's life is full of darkness and violence, and she wouldn't have it any other way. Does she ever get tired of fighting the monsters? As long as she has her beloved crew at her side, she can face--and fight--anything. But when the past comes back to haunt one of her crew, a friend she thought lost forever struggles to return, and a terrible debt is repaid, Rune learns that sometimes, the toughest battles aren't fighting the bad guys. The toughest battles are learning to live with choices she didn't make, new realities she can't change, and circumstances beyond her control.